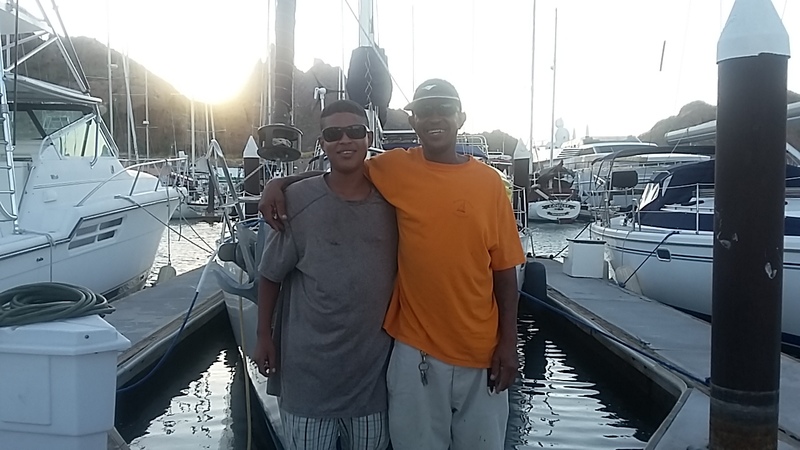 Jimmy and his son Jimmy spent two days polishing stainless as well as cleaning and waxing the hull. Two less things for us to do. Jimmy is a refugee from Rwanda who was placed in Mexico when he was in his twenties. He works hard and is well respected on the docks.